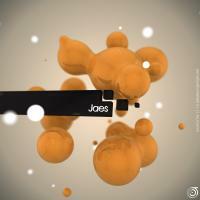 The selector known as Jaes was first introduced to the sounds of underground techno around 1992. After studying mixtapes for a couple of years, he began his vinyl addiction in 1994 and then invested in his first pair of turntables by 1995. The goal: to make his own mixtapes and support the sound he wanted to hear. This led to an obsession with breakbeat subculture music that would keep him digging in legendary Los Angeles record shops for the following years. After rolling with the evolution of jungle/dnb since the golden era, he decided to become more involved in 2006 to help support the jungle/drum & bass producers and labels still pushing the vibes that first drew him in. He began linking with other local and worldwide like-minded DJs and producers which led to a series of online mixes, guest appearances on alternative FM radio, and an interest in producing his own radio program. Re:Instate started in the Fall of 2008 on the airwaves of KCSB 91.9FM out of Santa Barbara, California. The show started as a weekly mix session of old skool jungle and drumbreak-oriented drum & bass. After two years on the FM airwaves, the radio show found a new home on the netwaves of Jungletrain.net. Now, in 2013, the radio show continues to be a Southern California source for the deeper sounds of breakbeat-driven drum & bass, along with classic old skool jungle/dnb selections from his extensive vinyl collection. A journey through sounds of dub, drumfunk, chopped-up beats and atmosphere, this mix is a solid representation of the underground sound and vibe you can always expect from Jaes. No hype, just beats.